David Walker's Appeal, perhaps the most radical of all anti-slavery documents, caused a great stir when it was published in 1829 with its call for slaves to revolt against their masters. Walker, a free black originally from the South wrote, ". . .they want us for their slaves, and think nothing of murdering us. . . therefore, if there is an attempt made by us, kill or be killed. . . and believe this, that it is no more harm for you to kill a man who is trying to kill you, than it is for you to take a drink of water when thirsty." What were the circumstances of David Walker’s death? Harriet Tubman (1820 – 1913) was an abolitionist and Union spy during the Civil War. After escaping from slavery, she made thirteen missions to rescue more than 70 slaves using the network of antislavery activists and safe houses known as the Underground Railroad. ."
How is Oberlin memorializing the Underground Railroad? How will the memorial be funded? Oberlin's participation in antislavery activity from the 1830s to 1860 took many forms. The evidence of the action of individual participants can be gleaned from the sermons of Rev. Henry Cowles, accounts of missionaries who preached in the South about evils of slavery, the third-party references to safe houses built on the route of the Underground Railroad, and the correspondence that details the activities of slave catchers running down fugitives. Some historians consider Oberlin to be the most important stop on the Underground Railroad. 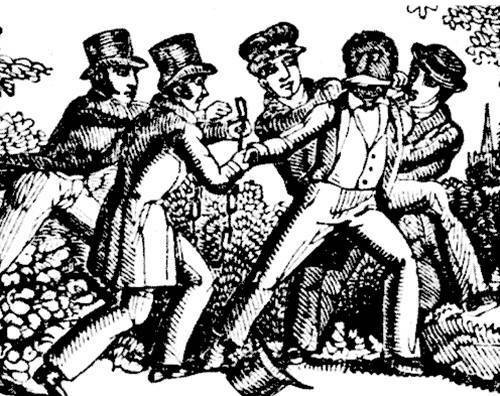 On 13 September, 1858, citizens and students of Oberlin and citizens of Wellington (nine miles away) successfully rescued John Price, a runaway slave living in Oberlin, from slave catchers. As the story is told, Price had been forcefully removed from the outskirts of Oberlin to the Wadsworth House in Wellington, and faced a return to slavery in Kentucky. A sketch of the young John Price from the front cover of The 1858 Oberlin-Wellington Rescue: A reappraisal. 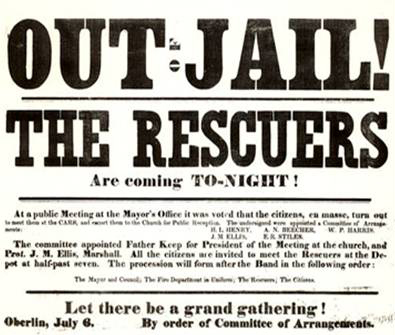 The events that followed, including a 1859 trial of the Oberlin Rescuers in Cleveland and their eventual release from the Cuyahoga County Jail, represented one of Oberlin's most remarkable achievements in the peaceful fight against the institution of slavery and in the moral quest for freedom for black Americans. Monument to the Oberlinians Who Participated in John Brown's Raid On Harper's Ferry. 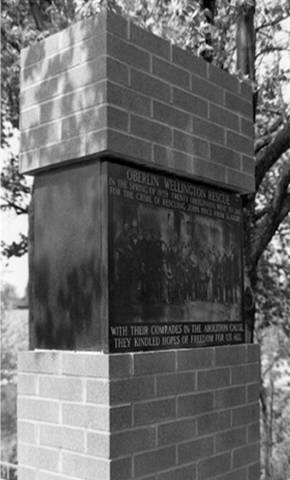 "These colored citizens of Oberlin, the heroic associates of the immortal John Brown, gave their lives for the slave. Et nunc servitudo etiam mortua est, laus deo. S. Green died at Charleston, Va., Dec. 16, 1859, age 23 years.J.A. Copeland died at Charleston, Va., Dec. 16, 1859, age 25 years.